TTUHSC School of Nursing offers an accelerated track for veterans with prior military medical training and experience to earn a Bachelor of Science in Nursing (BSN) degree. The VBSN track is open to veterans from all branches of the service and is designed to build on the education and experience of the veteran with a system of assessment that will allow for advanced placement in the curriculum based upon demonstration of knowledge and skill. This accelerated 12-month track has online classes with clinical instruction guided by assigned clinical coaches and nursing clinical faculty. 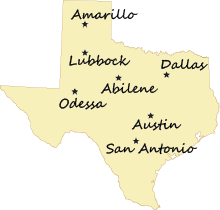 The track opened in the Spring of 2016 in Odessa, Abilene, Amarillo, San Antonio, and the Dallas-Fort Worth metroplex, with the addition of Austin and Lubbock beginning the Spring of 2018. To be eligible for admission to the track an applicant must be a Texas resident or be willing to sign an affidavit of willingness to relocate to Texas. Upon completion of prerequisite courses, the VBSN track can be completed in 12 months (61 semester credit hours). All applicants to the VBSN track must complete an online application as directed on the School of Nursing Website. All applicants must meet requirements listed below for admission consideration. Applicants are reviewed by the VBSN Admission Task Force, and are evaluated individually. Acceptance is based upon a competitive ranking process for selection using a point system of academic and non-academic requirements and considerations. Students applying can take the TEAS no more than two (2) times per application cycle. If two sets of scores are submitted the scores will be averaged. Effective for students applying for admission Spring 2018, students applying can take the TEAS no more than two (2) times per year (both attempts must occur within the one year period prior to application submission deadline). Active reservists must provide signed letter from reserve commanding officer indicating allowance to participate in program with completion of two-week annual training prior to and after VBSN track. Joint service transcripts (JST) and Community College of the Air Force (CCAF) transcripts may be submitted to Texas College Credit for Heroes website for evaluation and consideration of possible awarding of lower division credit. Transcripts from ALL United States colleges and universities you have attended in your lifetime. Official transcripts received by the Evaluator will be copied, reviewed and submitted to the Office of the Registrar. If submitting an unofficial copy of a transcript, it must be a physical copy of the official transcript. All transcripts must be received by the Evaluator prior to review. Any transcript which does not comply with the above instructions will not be reviewed. This includes a transcript which has been cut and pasted into an email. Be advised that evaluations will be processed in the order in which they are received complete with all necessary forms and transcripts. It is the responsibility of the applicant to make sure that their application is complete. Read here about how a criminal history could affect occupational licensing. Although Academic Criteria is an important factor in admission consideration, additional Non-Academic information is as important. To be reviewed for admission, all application materials must be submitted and completed by the indicated application close date. All students who meet the required deadline will have the same chance of being reviewed regardless of whether the application was received at the beginning or end of the review period. You must have all prerequisites completed prior to first class date. Although the Texas Tech University Health Sciences Center (TTUHSC) is part of the Texas Tech University System, legally it is a separate institution from Texas Tech University. Therefore, students applying to the TTUHSC School of Nursing must submit all documents required for admission consideration directly to the TTUHSC School of Nursing.